Schramm, Inc. is a century-old Chester County, Pennsylvania manufacturer and global supplier to the hydraulic drill industry, focusing on land based applications. Specializing in mobile, top-head hydraulic rotary drilling rigs, they supply to companies in the mining, energy, geothermal and water sectors worldwide. 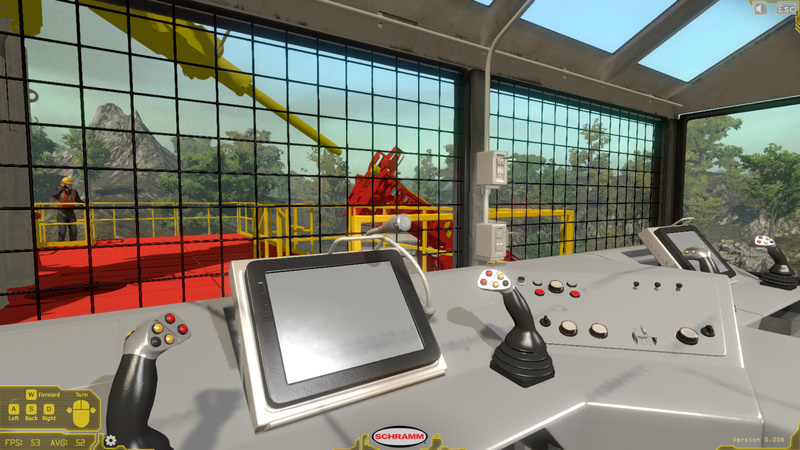 Schramm partnered with ForgeFX Training Simulations to develop a Virtual Reality (VR) drilling rig training simulator to help train people how to operate drilling rigs safely and effectively. 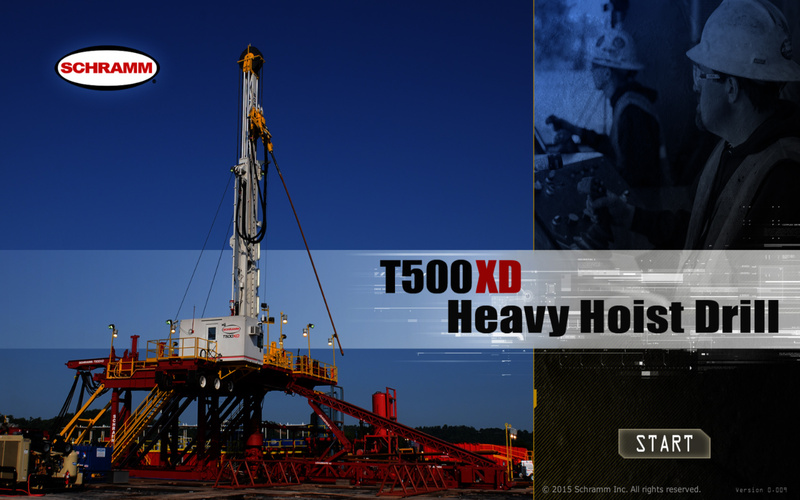 The Schramm T500XD heavy hoist drill is a mobile, land based drilling rig that is used extensively in the energy, mineral exploration, geothermal and water well sectors. The T500XD is the next generation horizontal and directional drilling, with full 360 degree walking portability for fast moves from hole to hole without the traditional limits of two-axis pad mounted designs. This type of industrial equipment operation requires a new generation of operators, with the next generation of job skills. 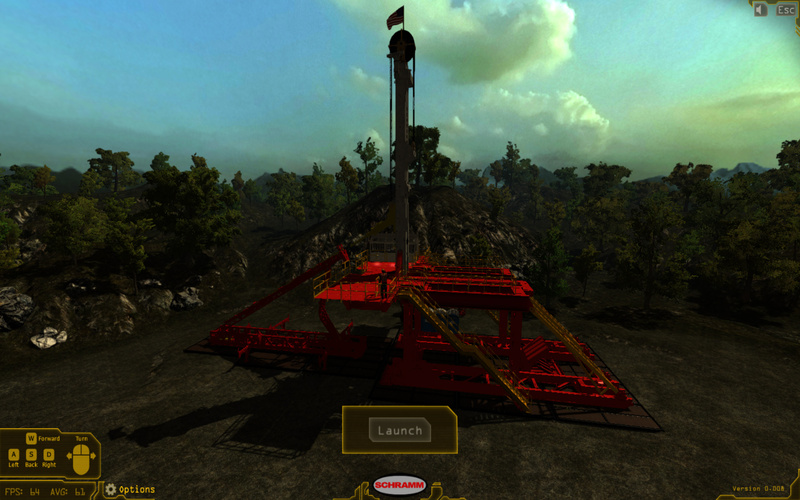 Simulation-based training provides operators with training for the skills that are required to operate modern drilling equipment. 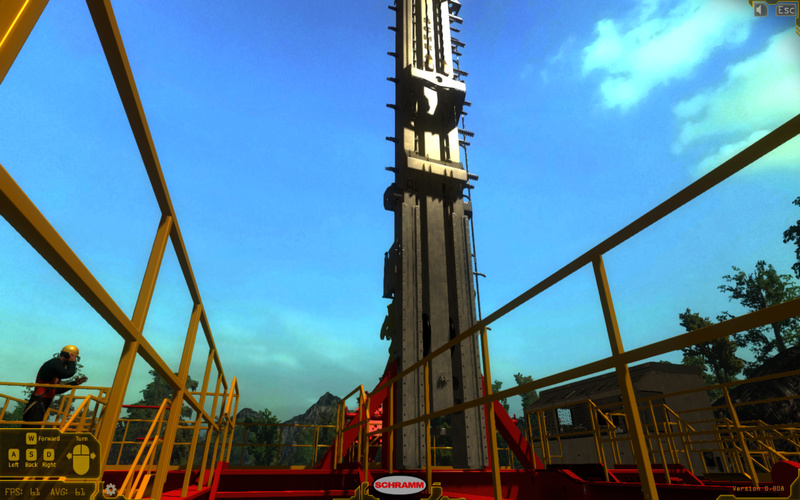 The robotic rig can walk from drill hole to drill hole on its own, or be controlled by an operator in the control room or using a remote control. 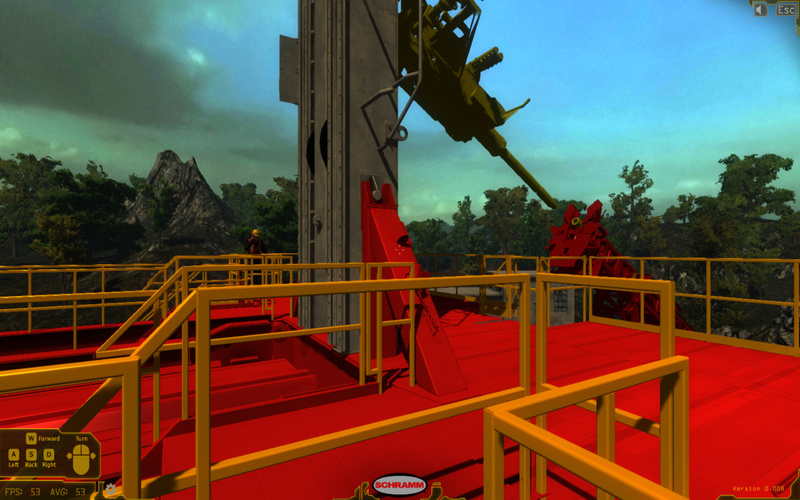 With no derrickhands on the deck and the rig is capable of loading pipe automatically, monitored by the operator in the control room. 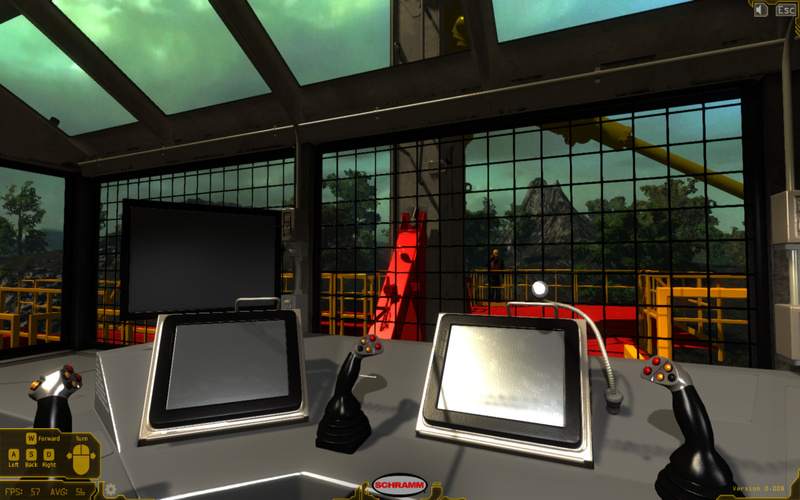 Virtual reality-based heavy industrial equipment training simulators allow people to use and train on highly-realistic virtual versions of the real-world equipment they’ll be responsible for operating. 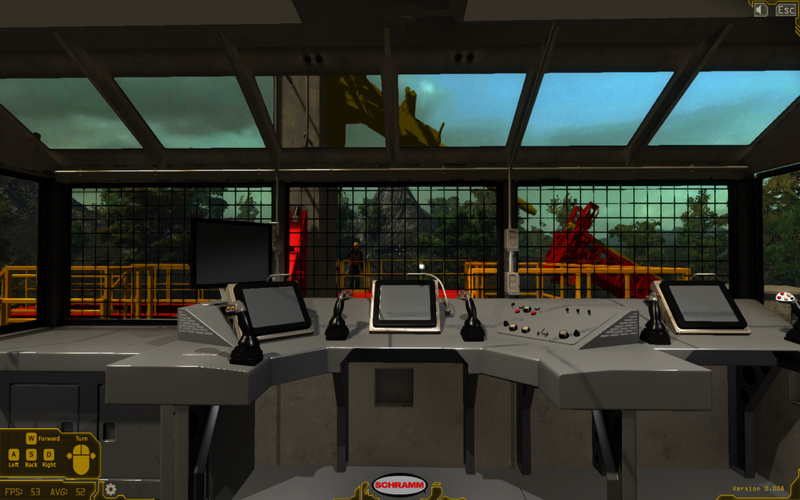 For hazardous and dangerous jobs, like oil and gas drilling, simulation-based training allows operations to become highly proficient at operating, and more productive with, the equipment they’ll be using on a daily basis. 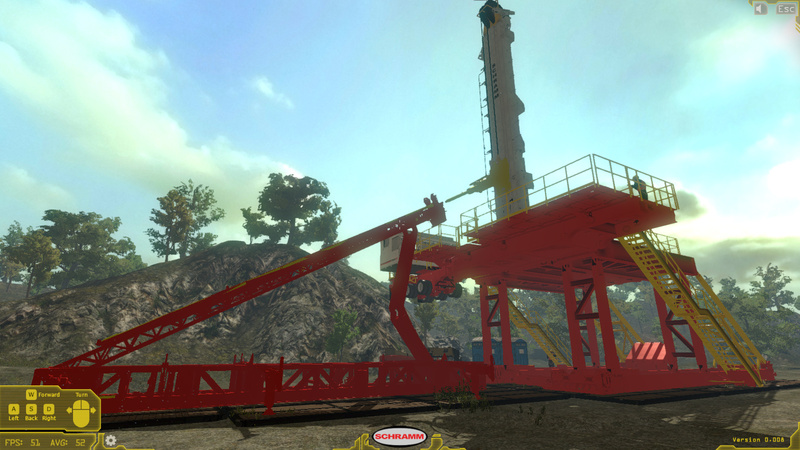 Thank you for your interest in the Schramm T500XD virtual drilling rig training simulator. Please see the Schramm website for more information about all of their drilling equipment and related products. For more information about the development of custom training simulations for your equipment, please contact ForgeFX Training Simulations to discuss your requirements and receive an estimate.